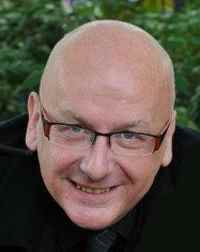 Michael Daniels PhD is a retired University lecturer in Psychology and former psychodynamic psychotherapist. He is also a magician and member of The Magic Circle. His academic research and publications are in the areas of transpersonal psychology, parapsychology, and Jungian psychology. Note: Revised and updated versions of papers marked * appear as chapters in Daniels, M. (2005). 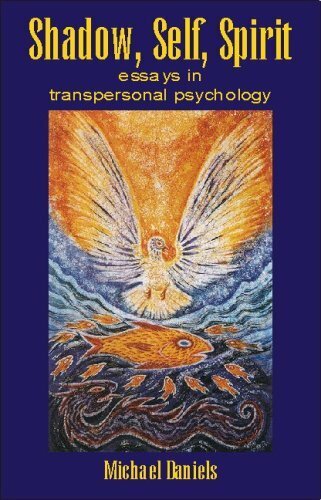 Shadow, Self, Spirit: Essays in Transpersonal Psychology, Exeter: Imprint Academic. Daniels, M. (2017). 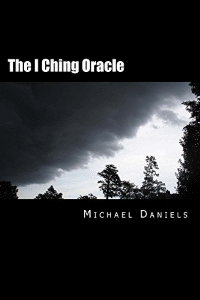 The I Ching Oracle: A Modern Approach to Ancient Wisdom. Psychic Science Books / CreateSpace Independent Publishing Platform. Daniels, M. (2015). 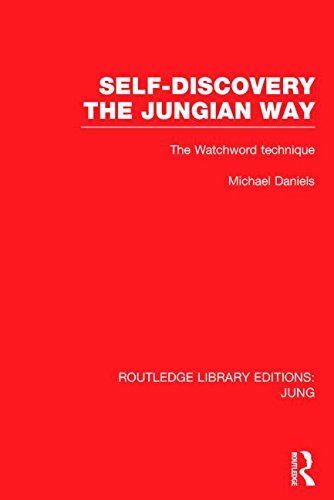 Self-Discovery the Jungian Way: The Watchword Technique (Routledge Library Editions: Jung, Vol. 4), 3rd revised edition. Hove & New York: Routledge. Daniels, M. (2014). Self-Discovery the Jungian Way: The Watchword Technique, 3rd revised ebook edition [PDF]. Lybrary.com. Daniels, M. (2013). "Traditional Roots, History, and Evolution of the Transpersonal Perspective". In H.L. Friedman & G. Hartelius (eds. ), Wiley-Blackwell Handbook of Transpersonal Psychology (pp.23-43). Chichester, West Sussex: John Wiley. --- (Trans. David González Raga) Sombra, Yo y Espíritu: Ensayos de psicología transpersonal. Barcelona: Editorial Kairós, June 2008. Daniels, M. (2004). "Transpersonal Psychologies". In C. Partridge (ed.). Encyclopaedia of New Religions: New Religious Movements, Sects and Alternative Spiritualities (pp. 366-370). Oxford: Lion Publishing. --- Reprinted in R. Wiseman & C. Watt (eds.) (2005). Parapsychology (The International Library of Psychology). Ashgate Publishing. Daniels, M. (2000). The shadow in transpersonal psychology. Proceedings of the British Psychological Society, 8(2), 10. Daniels, M. (1999). Transpersonal psychology and the paranormal. Proceedings of the British Psychological Society, 7(2), 112. Daniels, M. (1999). Language and spatial metaphor: archetypal reflections. Proceedings of the British Psychological Society, 7(1), 48. Daniels, M. (1998). Watchword technique of Jungian self-discovery. Proceedings of the British Psychological Society, 6(1), 63. Harrop, A. & Daniels, M. (1993). Further reappraisal of momentary time sampling and partial interval recording. Journal of Applied Behavior Analysis, 26(2), 277-278. Daniels, M. (1992). Self-Discovery the Jungian Way: The Watchword Technique. London & New York: Routledge. Harrop, A., Daniels, M. & Foulkes, C. (1990). The use of momentary time sampling and partial interval recording in behavioural research. Behavioural Psychotherapy, 18, 121-127. Harrop, A., Foulkes, C. & Daniels, M. (1989). Observer agreement calculations: The role of primary data in reducing obfuscation. British Journal of Psychology, 80, 181-189. *Daniels, M. (1988). The myth of self-actualization. Journal of Humanistic Psychology, 28(1), 7-38. Harrop, A. & Daniels, M. (1986). Methods of time sampling: A reappraisal of momentary time sampling and partial interval recording. Journal of Applied Behavior Analysis, 19, 73-77. --- Reprinted in Methodological and Conceptual Issues in Applied Behavior Analysis, 1968-1988. From the Journal of Applied Behavior Analysis, Reprint Series, Vol. 4, pp. 193-197. The Society for Experimental Analysis of Behavior, Inc., 1989. Harrop, A. & Daniels, M. (1985). Momentary time sampling with time series data: A commentary on the paper by Brulle & Repp. British Journal of Psychology, 76, 533-537. Daniels, M. (1984). The relationship between moral development and self-actualization. Journal of Moral Education, 13(1), 25-30. *Daniels, M. (1982). The development of the concept of self-actualization in the writings of Abraham Maslow. Current Psychological Reviews, 2. 61-76. Daniels, M. (1981). Morality and the person: An examination of the relationship of moral development to self-actualization, mental disorder, and personality. Unpublished doctoral dissertation, University of Leeds.